Lomax Estates are homes for sale in a small, 7-lot neighborhood of large, custom-built single family homes close to the Skyway Skiway and is located near Four O’clock Run. These homes lie along a quiet street called Lomax. The name is a reference to a former mining claim. All but one of the Lomax Estates have had homes placed on them, while keeping most of the pine trees that were the sole occupants of this uphill rolling land between downtown Breckenridge and the base of Peak 8 prior to the construction of these estates and their neighbors. Keep reading about the these beautiful homes for sale, or start your home search with the active Lomax Estates real estate listings directly below. 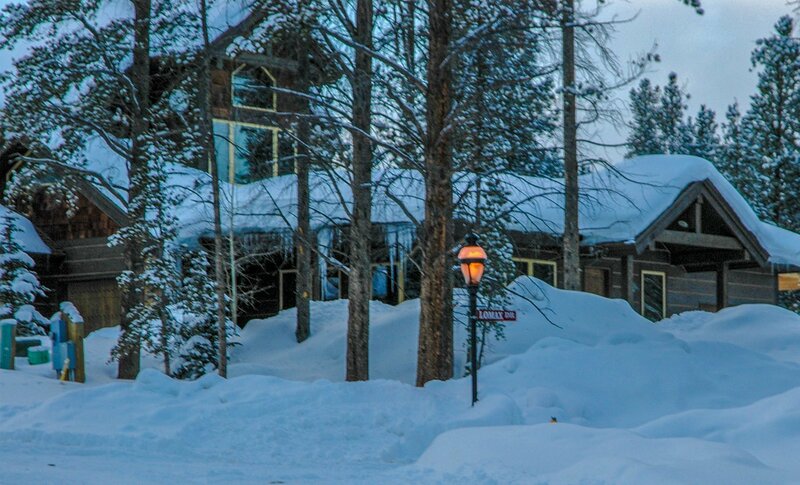 Lomax Estates are a mountain contemporary style, recently built on pieces of private land that remained after Vail Resort and the town collaborated to build the gondola and skyway. 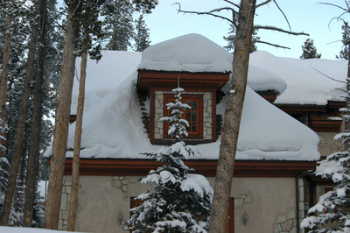 Since the millennium, home design in Breckenridge has leaned toward big logs, recycled wood beams, wide plank flooring and expansive interiors that aren’t predictable from the cozy cabin exteriors. This is what is likely the style of the estates charmingly set here in the former Lomax Placer. Size: 5,000 sq. ft. to 8.000 sq. ft.
From the traffic circle at the north edge of Breckenridge, take Park Avenue to Ski Hill Road (or from Main Street go west on Ski Hill). Follow the short switchbacks and continue on Ski Hill to Grandview. Take a left, then left on Beavers, and quick left onto Lomax Drive.